The outline of the eye is a very thin area of the face that, between the movements of the face, muscle twitches or the sun, quickly reveals wrinkles. Fine at 30, wrinkles under the eyes become more marked over the years. Here are our tips for getting rid of it. This oil has nutritive and moisturizing properties that keep your skin healthy and young for a long time. It is especially effective on the eye contour. It also helps heal wounds. This real concentrate of antioxidants, which stops aging of the epidermis, is applied to dry skin to moisturize it and reduce the appearance of wrinkles. It moisturizes dry skin, lubricates the eye area and gives a younger look to your face, in addition to preventing the appearance of wrinkles. Vitamin E capsules are easily found in natural shops. Apply them before going to sleep, every night for at least a week (depending on the amount of wrinkles you have). Another great home remedy for removing eye wrinkles and expression wrinkles under the eyes is pineapple juice. You can soak a cotton ball in the pineapple juice, then rub it on the wrinkled areas. Several medical studies have confirmed that pineapple juice on wrinkles can reduce their appearance significantly. Pineapple juice contains bromelain. Tremez a cotton in the lemon juice and rub gently on the crease areas under the eyes. For best results, you should do it twice a day, preferably once in the morning just after waking, then in the evening just before bedtime. The treatment of rose water is a proven remedy to eliminate eye wrinkles and also to rejuvenate the skin under the eyes. Just rub a cotton ball soaked in rose water on the affected areas. This slight friction, when done at least once a day, will give you very positive results within a few weeks. 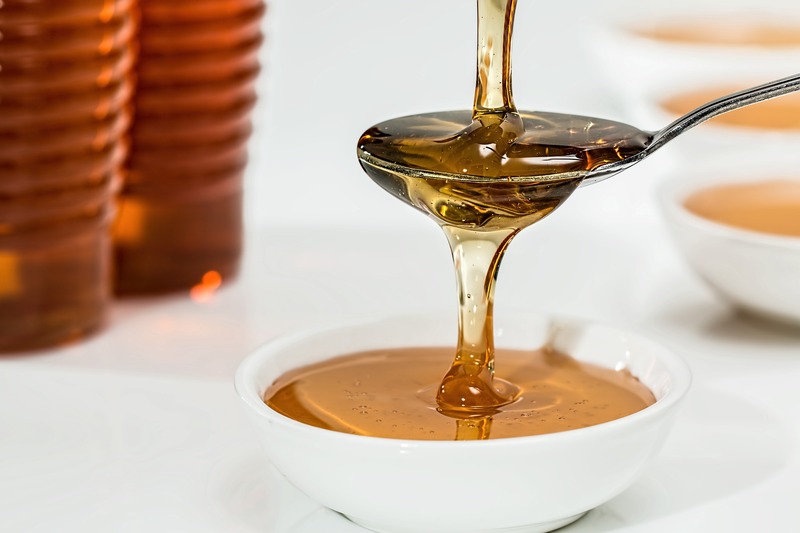 The honey can be a perfect remedy for wrinkles around the eyes. Mix half a tablespoon of honey with an egg yolk and a tablespoon of oatmeal. Mix well. If the mixture is too thick, add a small amount of hot water. The mask is applied under the eyes for 10 minutes, no more. After that, rinse with warm water and then with cold water. By regularly using these amazing natural masks you will see the first results after a month – wrinkles become more and more invisible and the skin around the eyes will be nourished, smooth and soft. Wash your skin well and dry it. Mix a spoonful of plain yogurt with a spoonful of honey, half a spoonful of orange juice and ¼ cup of banana slices. Mix well to obtain a homogeneous cream, apply it on your face and leave on for 15 minutes. Then rinse thoroughly with lukewarm water.